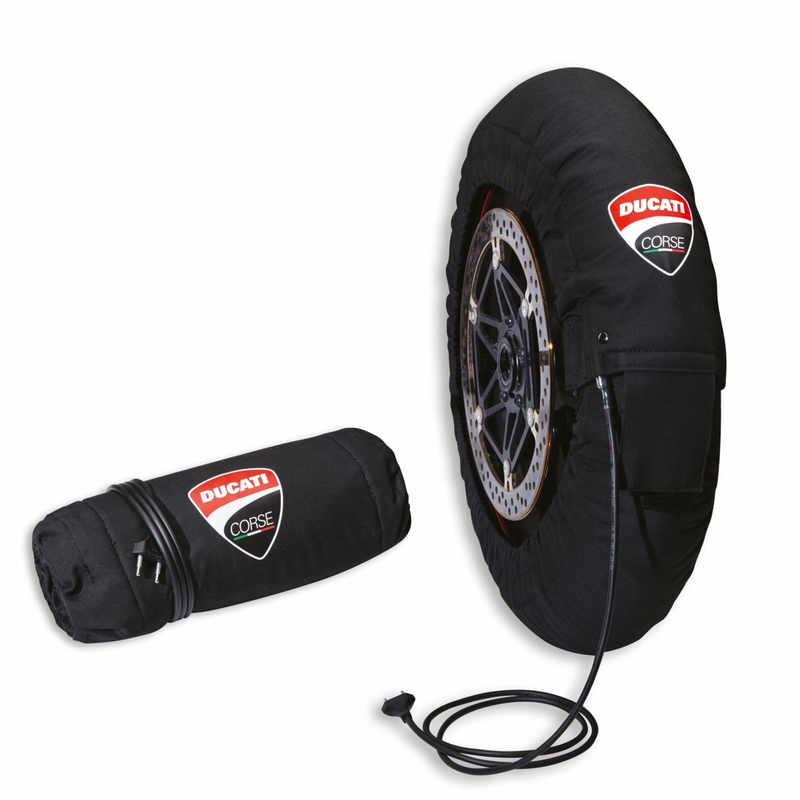 Panigale V4 Tyre Warmer Set. Inspired by MotoGP, they heat and maintain the tyres at an optimum temperature for maximum grip right from the first laps. Made of fireproof fabric for greater durability and to prevent burns due to the proximity between the rear wheel and the exhaust manifolds. The heating circuit is coated with PTFE (polytetrafluoroethylene), a material that is much more robust and durable than other silicone-coated solutions.